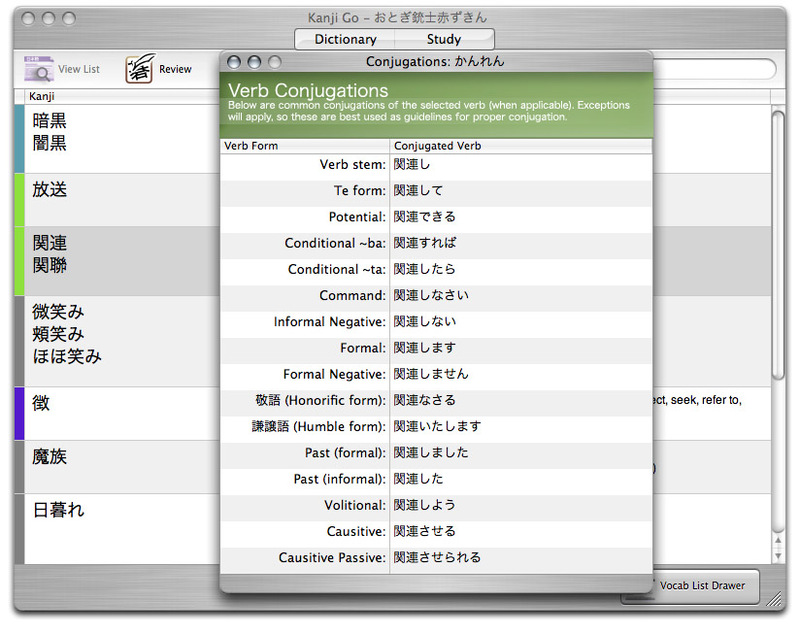 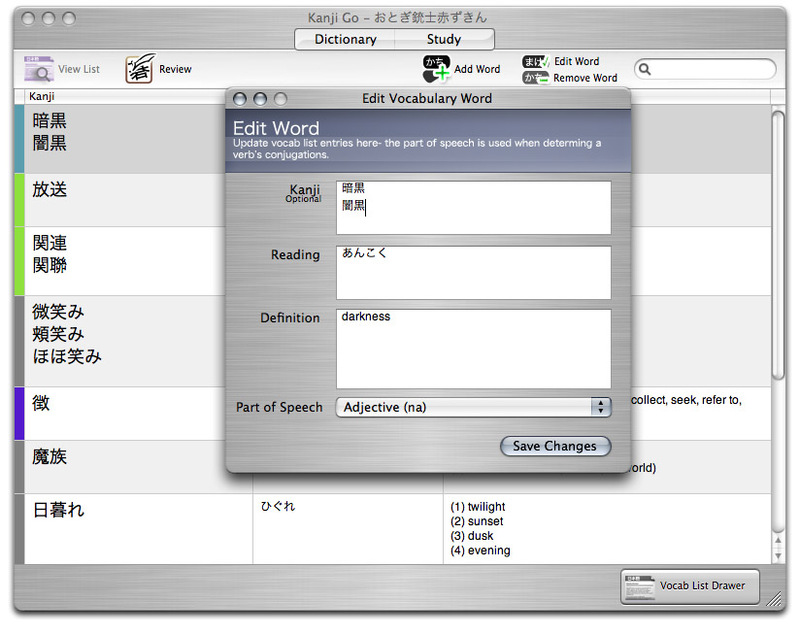 Kanji Go is a Mac OS X application designed to make it easy to lookup and review Japanese and Chinese. 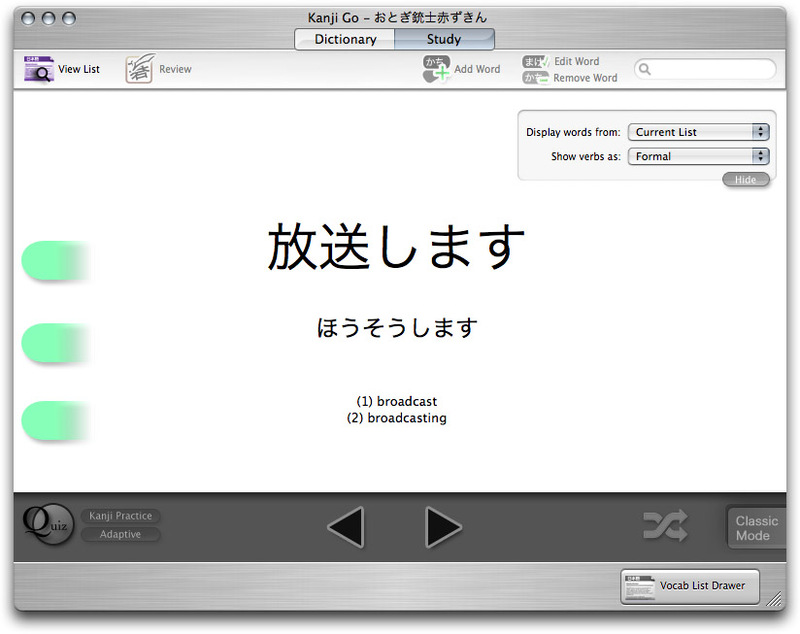 You can learn more via the Online Manual and forum. 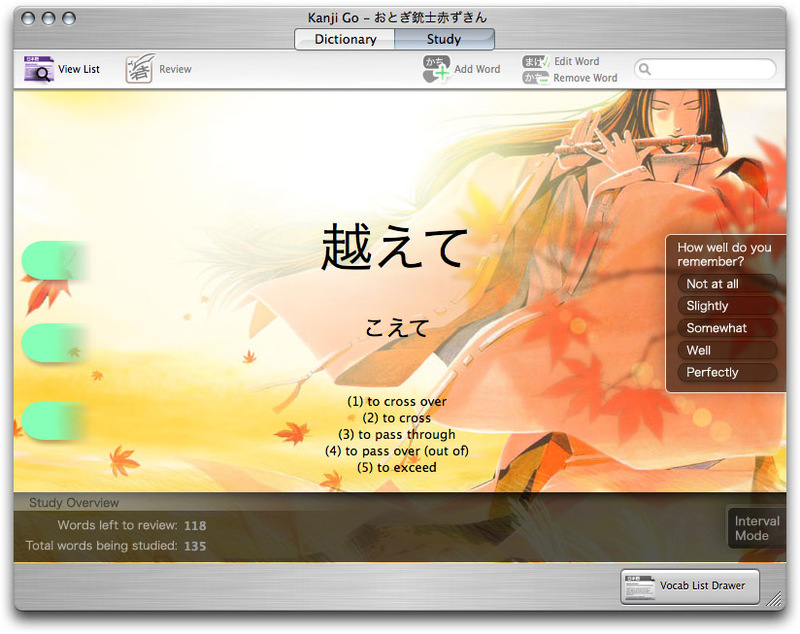 Kanji Go is free to use and redistribute, according to the GNU GPL v3. 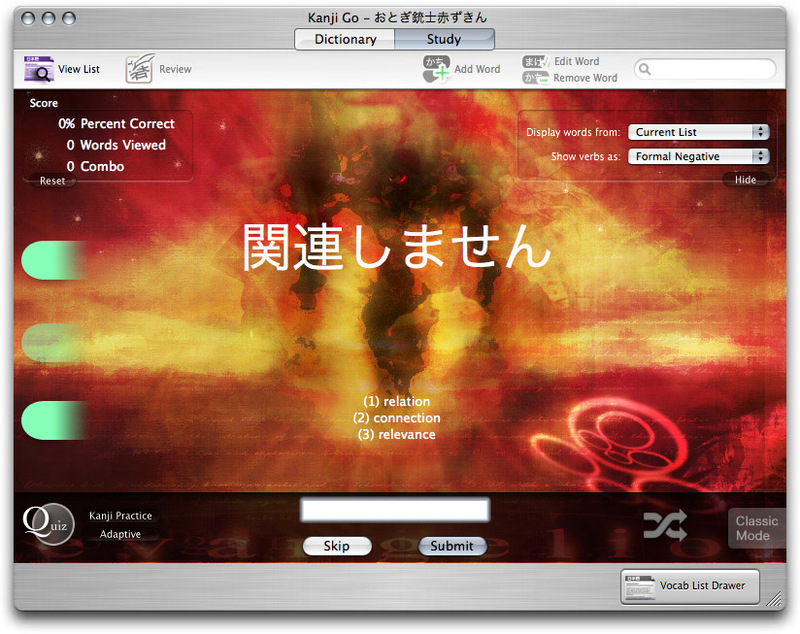 It has been shaped by generous (and much appreciated) feedback from an international userbase, and is updated frequently. 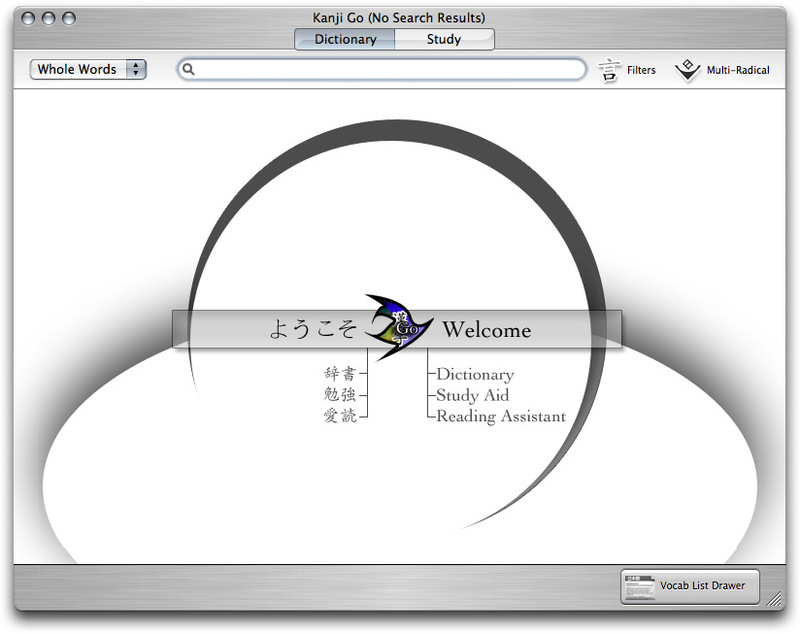 Pass it on to any who you think might find it useful, and always feel free to post on the forum, or contact me directly.